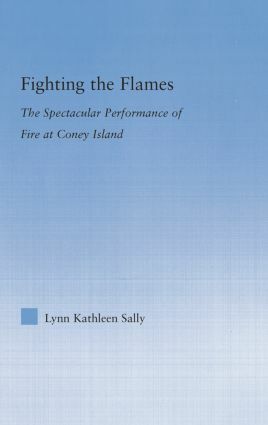 In Fighting the Flames, Sally contextualizes, historicizes, and theorizes the spectacular performance of fire at turn-of-the-twentieth century Coney Island. The performance of fire included staged exhibits, such as Fire and Flames and Fighting the Flames, and the real fires that plagued its history. While Coney Island placed fire center stage in its fire-based disaster spectacles, fire has continuously burned its own bridge, destroying the producer who wants to make fire the star of his show. The real conflagrations at Coney Island insert precisely what was missing from these staged performances: ephemerality, unpredictability, and newness of the present that serve as metaphors for not only fire but for the development of the metropolis and the advent of modernity.